A superhero movie or superhero film is a movie concentrating on the actions of one or more superheroes. They are ordinary people but blessed with extraordinary abilities to save the public from disasters. 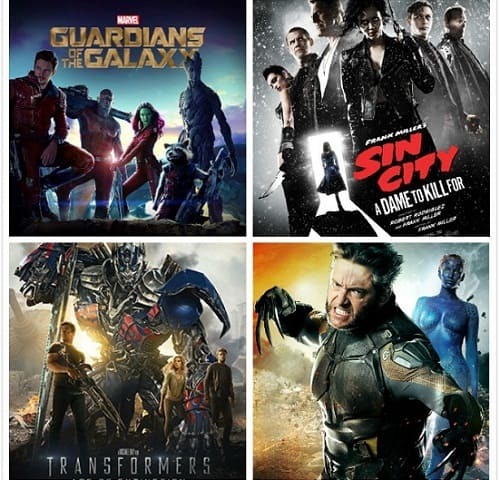 Many people are addicted to the superhero movies featuring action, fantasy and sci-fi elements. 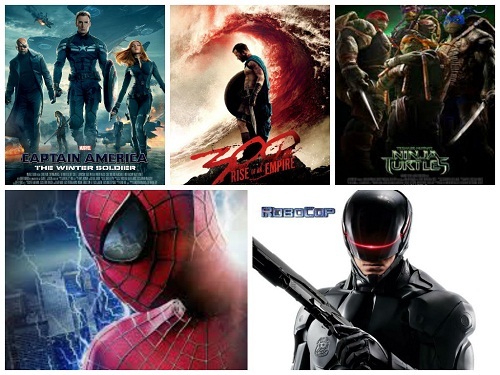 Here, take a look at the superhero movies in 2014 you must not miss. You must be excited for these new and upcoming superhero movies in 2014. Also you'll be presented with best DVD copy software to rip and back up superhero DVD movies. WinX DVD Copy Pro - Copy DVD to DVD, ISO, folder, etc. WinX DVD Ripper Platinum - Copy DVD to formats and devices. When you check the timeline of 2014 movies list, you'll notice that superhero films count much. And these new superhero movies are sorted in chronological order. Plot summary: In 2028, Detroit is threatened by crime and corruption. Alex Murphy (Joel Kinnaman), a loving husband, father and justicial cop is badly injured in the line of duty. Then, OmniCorp comes to help. OmniCorp masters the robot technology and has produced tons of RoboCops to fight against criminals for years. Thanks to this technology, Murphy resurrects as a part-man, part-robot police officer. Plot summary: After its victory over Leonidas' 300, the Persian Army led by Xerxes march to the major Greek city-states. And Greek general Themistokles leads the charge to fight against invading Persian Army. Additionally, Themistokles is reluctantly in an alliance with the traditional rival of Athens, oligarchic Sparta whose might lies with its superior infantry troops. Plot summary: After New York battles in The Avengers, Captain America Steve Rogers lead a life of simplicity and indifference. He tries integrating into the modern society. However, Rogers is forced to involve in a conspiracy, when a SHIELD worker Nick Fury is suddenly attacked. Along with the Black Widow and a new friend The Falcon, Captain America must expose the true nature of this deadly mystery. Unexpectedly, what they will confront are strong rivals, called Winter Soldiers. Plot summary: Spider-Man is still busy in meeting the ordinary obligations of Peter Parker (Andrew Garfield) and the extraordinary responsibilities of Spider-Man. A formidable villain Electro emerges, which brings a big battle to Parker. Moreover, his old friend Harry Osborn returns. And Perter realizes that all of his enemies have one thing in common: Oscorp. Plot summary: Darkness falls across New York. Shredder and his evil Foot Clan have controlled everything from the police to the politicians. This city needs help. Under the cooperation of four Teenage Mutant Ninja Turtles, a brave reporter April O'Neil and her cameraman Vern Fenwick, Shredder's plan is destroyed and the city gets saved. Plot summary: In 2023, mutants are facing the biggest existential crisis. They are in the danger of being extinct by the Sentinel robots designed by Bolivar Trask. The only hope for X-Men is to back to the past and change history before the scheme of Bolivar Trask prospers. With the help of Kitty Pryde's ability, Wolverine is send to the past for the purpose of stopping Trask's research. Plot summary: Four years have passed since the Battle of Chicago. Both Autobots and Decepticons have to disappear from the earth and hide from CIA unit pursuing them. Cade Yeager, a robotics expert, buys an old truck which turns out to be a Transformer named Optimus Prime. Later, the unit comes to Cade's home to look for Optimus. Optimus helps Cade and his daughter escape but are pursued by the hunters. Plot summary: After stealing a mysterious orb, Peter Quill, a half human and half alien, becomes the main target of a manhunt under the command of the villain known as Ronan. It turns out that Ronan has long desired to this orb which has much power and can brings threat to the universe. To save Galaxy and fight against Ronan, Quill sets up a team named "Guardians of the Galaxy". Plot summary: Dwight McCarthy's former lover Ava Lord returns. She needs Dwight's help to escape her abusive husband and massive bodyguard Manute. However, spoony Dwight finds that Ava's true intentions are far more evil than they appear. Superhero movies always have the power to haunt people. Superhero fans are not content to just enjoy them in theaters. They will pay some money for superhero movies DVDs for later playback and collection. However, it is known to all that DVD discs are vulnerable to be scratched, cracked or worn. How to protect your beloved superhero films? 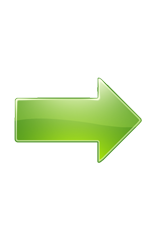 A feasible way is to copy DVD movie to a blank DVD, ISO image, DVD folder or a digital file in MP4, MOV, AVI, WMV, MKV, etc. Then, what you need is a powerful DVD copy software program capable of accessing to DVDs encrypted by CSS, region code, RCE, UOPs, Sony ARccOS, Disney X-Project DRM, etc. These copy protections defeat tons of DVD copy software, except for the two mentioned below. Solution 1: WinX DVD Copy Pro. This is a windows-based professional DVD copy program specializing in copying any DVDs including superhero movie DVDs. This easy-to-use DVD copy tool can quickly access to DVDs encrypted by all copy protections without the aid of a third-party DVD decrypter. It enables users to copy classic and 2014 new superhero films DVDs to a blank DVD disc, ISO image, VIDEO_TS folder, copy DVD title to single MPEG2 file, and copy DVD chapter, video and audio file only. Solution 2. WinX DVD Ripper Platinum. It is a piece of all-in-one DVD backup software and DVD ripper. Meanwhile, it offers a Mac version (DVD Ripper for Mac) to Mac users. Compared with the first one, it has much more features and functions. 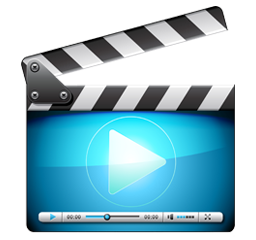 Not only does it allow users to 1:1 clone DVDs, superhero DVD movies included, to ISO image and DVD folder and copy main/full title content, but also it is able to rip DVDs to common media formats, like MP4, MOV, MKV, AVI, WMV, to fully compatible with PC, Mac, Apple devices, Android handsets, Sony, Microsoft and other popular devices. It outputs high-quality video files from 2014 new and upcoming superhero movies DVDs at super fast speed. Note: The software developer only advocates copying superhero movies DVDs for personal use and suggests referring to the DVD copyright laws in your countries before doing so. 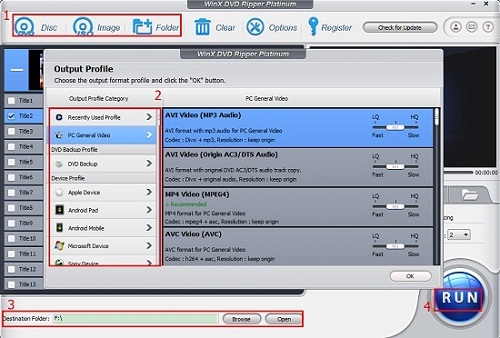 If you need to fast rip and copy DVD to MP4, AVI, WMV, MPEG, iPhone, iPad, Android/Microsoft smartphones or tablets, please turn to WinX DVD Ripper Platinum.